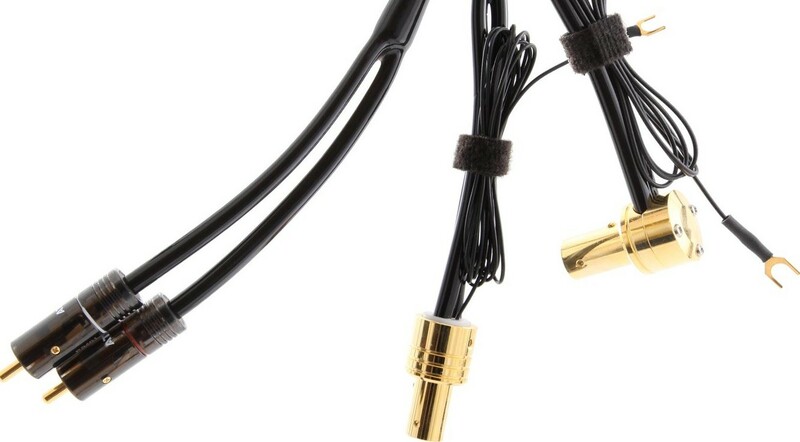 This high-performing tonearm cable is an ideal companion for your turntable, allowing you to immerse yourself in a wonderfully balanced vinyl sound. Atlas Hyper Tonearm Cable follows in the footsteps of its fellow Hyper interconnects to deliver a low noise design that is ideally suited for the low signal output levels offered by phono cartridges. The design showcases the brand's self-cleaning Integra RCA plug along with an integrated spade tag earth terminal. The Integra connector is a low mass design that offers a solder-free connection to successfully deliver a seamlessly flowing signal path. The design utilises an Ohno Continous Casting high purity copper conductor with foamed Polyethylene dielectric. This combination offers a sleek, balanced sound which superbly engages you in the vinyl soundscape.